In the past 10 years, I can’t think of a day that I haven’t cleaned up some type of LEGO product from the floor of our playroom. From LEGO Duplo during the little years, to 3,000 piece Star Wars battleships in the Tween years, all three of my children have always enjoyed a fresh box of pure imagination. Needless to say, when I found out that Columbus would be host to the LEGO Creativity Tour, I knew we couldn’t miss it. Not to mention, they sent out a postcard to our house and I thought my oldest was going to spend his own money making sure he was able to go. It has been several years since we attended one of these events and I have heard they are better than ever but you better get your tickets fast because they are guaranteed to sell out. This is not my typical giveaway. However, you can enter to win on the special link above. This is a special link just for US Family Guide and Sunshine Praises. One of MY followers will win (2) tickets to for the opening night session on Friday, November 20 (5:30-8:30pm session). 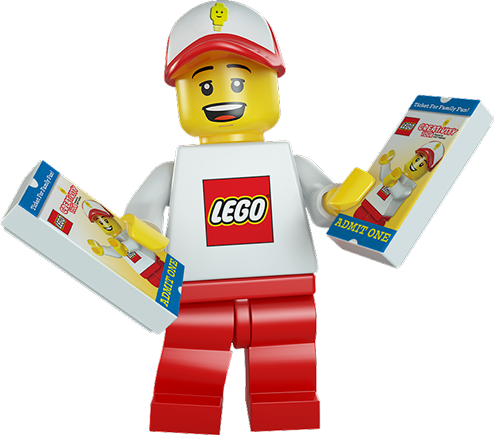 I encourage you to LIKE and Follow LEGO Creativity Tour on Facebook , Twitter and/or Instagram for all the latest ticketing updates as this event has been selling out in prior cities. Must be 18 to enter, 1 entry per day allowed, random drawing by USFG! 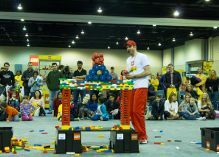 The LEGO Creativity Tour, powered by the team that runs the popular North American LEGO KidsFest tour, comes to the Greater Columbus Convention Center in Columbus Nov. 20 – 22 for eight identical sessions. The LEGO Creativity Tour will offer children of all ages an opportunity to build, create and enjoy an immersive LEGO experience through engaging play areas, family-oriented building activities and more. Tickets for the LEGO Creativity Tour are $19 (plus tax and service fees). Children under 2 are free. Go to www.LEGOcreativitytour.com for more information or to purchase tickets. Disclaimer: My family and I received complimentary passes to attend this event. All thoughts and opinions are mine. This giveaway is brought to you by US Family Guide.